"This website is really awesome! You've got a good thing going here, thanks for the ideas." 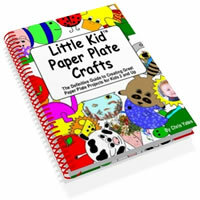 Welcome to create-kids-crafts where you'll find lots of free and favorite kids crafts. Are you looking for fun ideas that kids will love? They love crafts! As a Mom, I created this site to share proven, kid-tested, kid craft ideas. It's no secret that kids love to create! 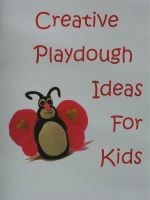 Here at create-kids-crafts.com you can help kids explore their creative side with wonderful art and craft ideas guiding the way. These ideas are easy, inexpensive and most are made with common household items. Let me save you time and energy by giving you great ideas that will be enjoyed. These ideas have been tried and are well liked in my own family as well as in my part-time dayhome that I operate. They are great for preschool ages and up. My little ones are my inspiration for this site. I am blessed at a second chance at life, seeing through the eyes of my children. Note For Parents:This site is for parents to use with their children. Every parent must use their own judgement in choosing which crafts and activities are safe for their own children. While create-kids-crafts makes every effort to provide crafts and activities that are safe and fun for kids, it is your responsibility to choose the activities that are safe in your own home. Here's an alphabetical listing of our crafts to help you find what you're looking for.